The Sustainable Development Goals (SDGs) target a range of development challenges, from combating climate change to ending poverty and hunger. To achieve the SDGs in developing countries, a significant scale-up of investment is required. Blended finance is the use of catalytic capital from public and philanthropic sources to mobilize additional private sector investment in developing countries to realize the SDGs. Blended finance – the strategic use of catalytic capital from public and philanthropic sources to mobilize additional private sector investment – is one important approach to financing the SDGs. The United Nations (UN) member countries reached consensus on the importance of blended finance at the Third International Conference on Financing for Development in 2015. Since then, blended finance has entered the mainstream. Over the past year, blended finance has found its way into international development policy and strategies, made news headlines, and become a central theme across major global conferences. 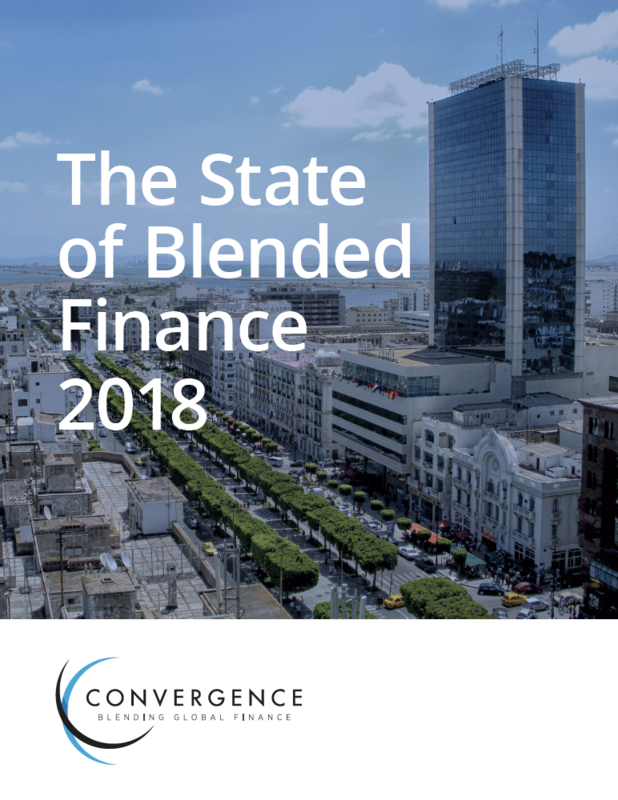 This report uses Convergence data and insights to provide an updated analysis of the blended finance market, including impact, blending approaches, sectors, and regions. The reports also highlights the top investors in the space, provides an overview of key events in blended finance, and reflects on progress that has been made on previous action items and issue areas outlined in the inaugural State of Blended Finance published in 2017. Established out of the Addis Ababa Action Agenda, Convergence generates blended finance data, intelligence, and deal flow to increase private sector investment in developing countries and sustainable development.